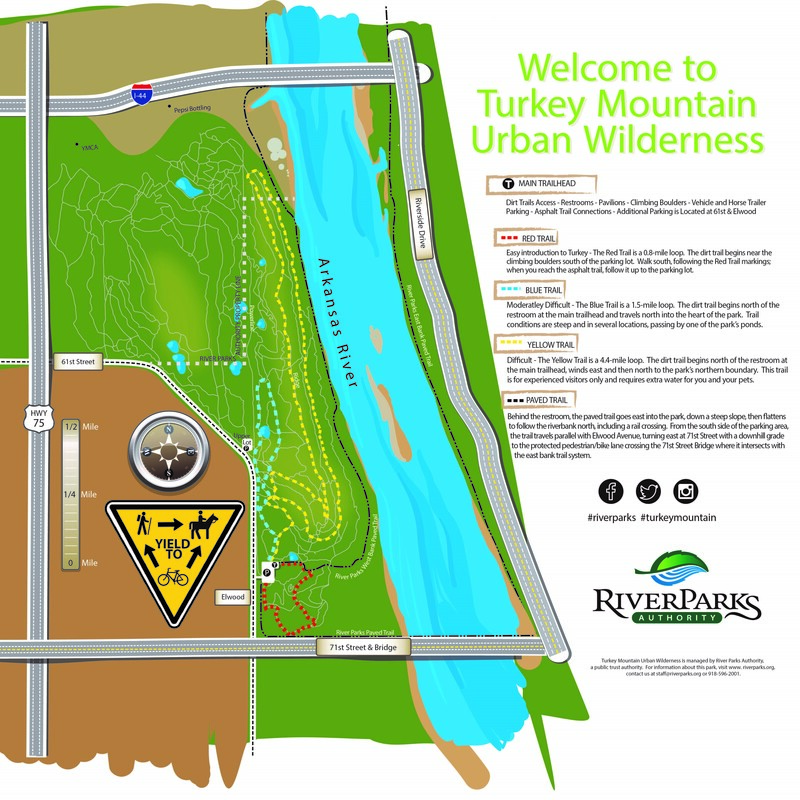 Just southwest and across the river from downtown, the Turkey Mountain Urban Wilderness Area provides runners with 300 acres of rolling hills, hardwood forests, and ponds in additions to miles of dirt singletrack — a dream come true for the urban trail runner. 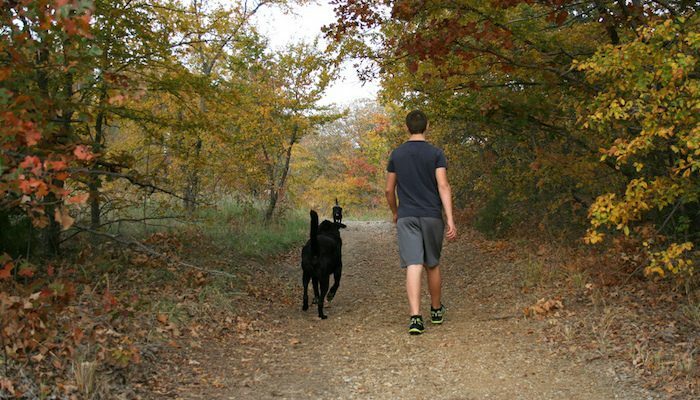 Approximately 1.5 miles of the west River Park Trail also run through the park. Runners can explore the extensive interconnected trail network on their own, or set out on one of the park’s marked loops. The Red Trail is an easy ~1 mile loop in the southwest corner of the park, The Blue Trail is a moderate 1.5 mile tour with some hills, and The Yellow Trail is a challenging 4.4 mile loop with several hills. Any of the trails can be connected for greater distances. The area is located on the west bank of the river at W. 71st St. (pedestrian bridge from east side). Elwood Parking Area - Off W. 71st St.